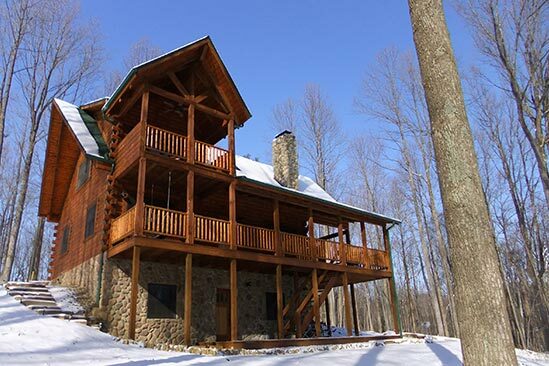 The perfect retreat for couples or small families looking to getaway and relax in nature. 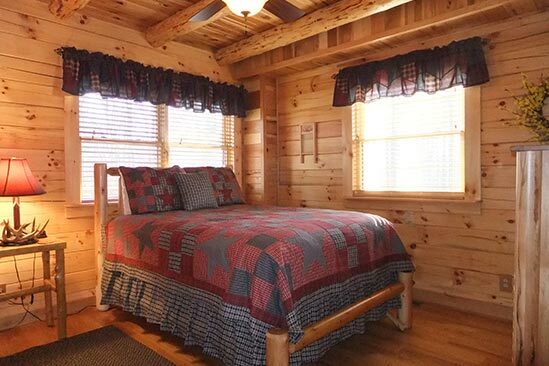 With three bedrooms and three full bathrooms, we offer accommodations for up to 6 people comfortably. 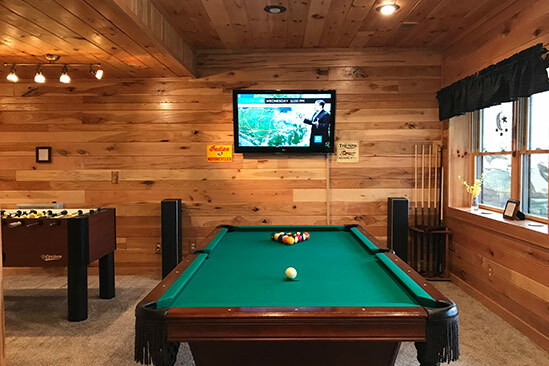 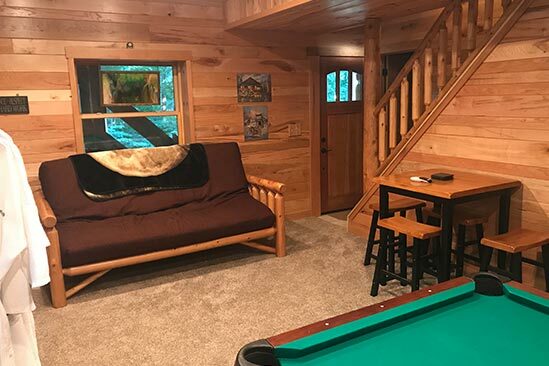 Bella Luna has all of the amenities you have come to expect at home as well as several unique touches so you can relax and reconnect with family and friends during your stay with us. 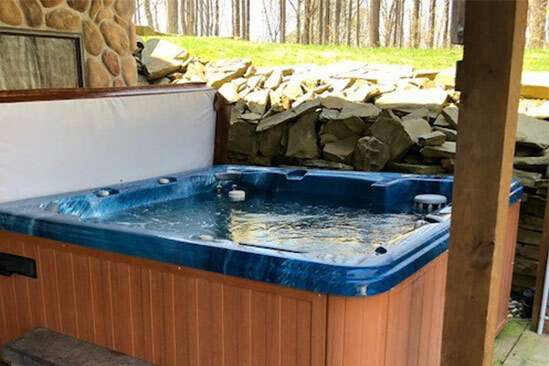 Bella Luna is fully stocked with all of the following essentials. 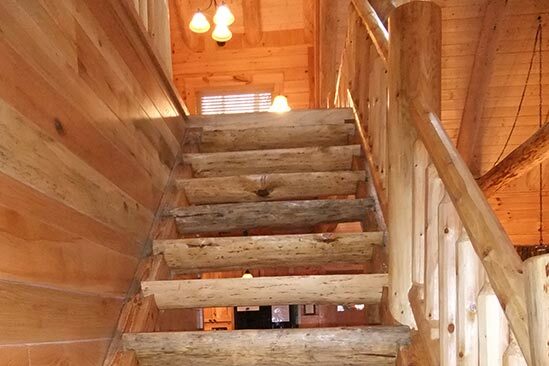 Please contact us if you have specific questions or requests. 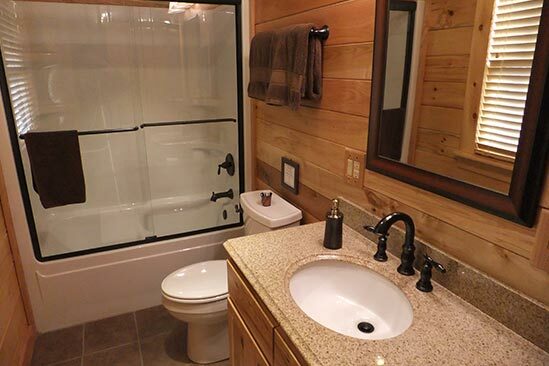 We provide wash cloths, hand & bath towels, towel warmer in bathrooms, bed linens, extra blankets, hairdryers, spa robes & spa towels, toilet tissue, paper towels, hand soap, dish soap, dishwasher detergent and kitchen trash bags. 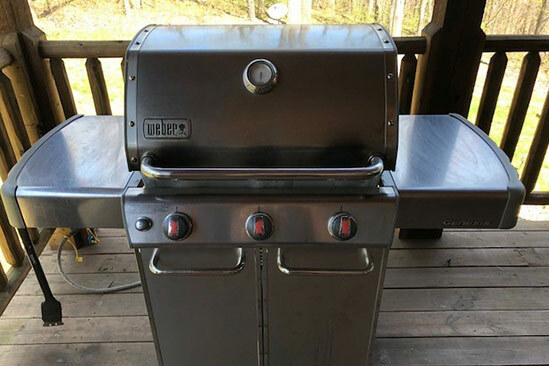 Our kitchen is fully equipped with dishes, glassware, utensils, pots, pans, pot holders, trivets, kitchen hand towels, mixing bowls, oven trays, coffee maker, toaster, blender, bottle opener, and a large gas BBQ on our deck for grilling. 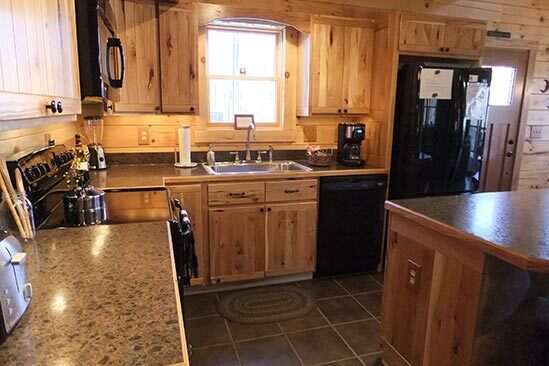 We also supply coffee and snacks. 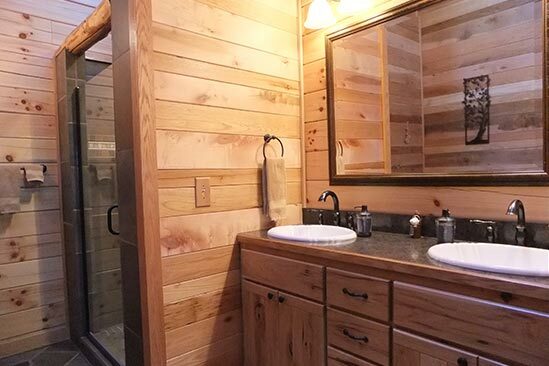 Our cabin has and ample supply of good tasting well water, which is filtered and softened. 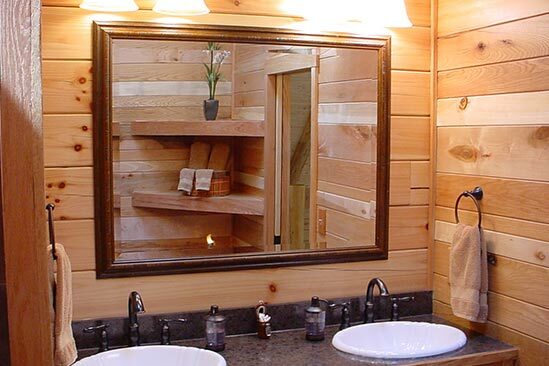 Toiletries (bath soap, shampoo, conditioner, toothpaste, razor, shaving cream, etc. 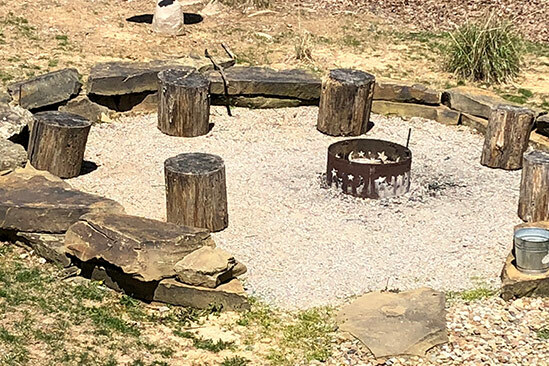 ), food, sunscreen, insect repellant, camera, binoculars, flashlight, walking sticks, hiking boots, aluminum foil, plastic food wrap, ziplock bags. 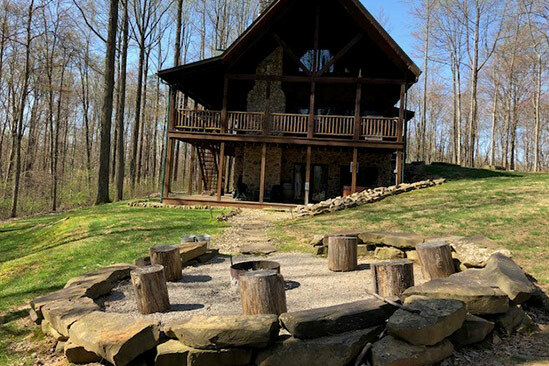 In the winter, it is recommended that you use a four-wheel drive vehicle in the Hocking Hills area as some of the roads will become very slippery when snow covered. 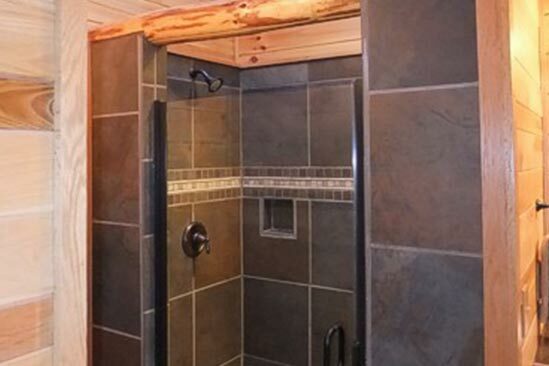 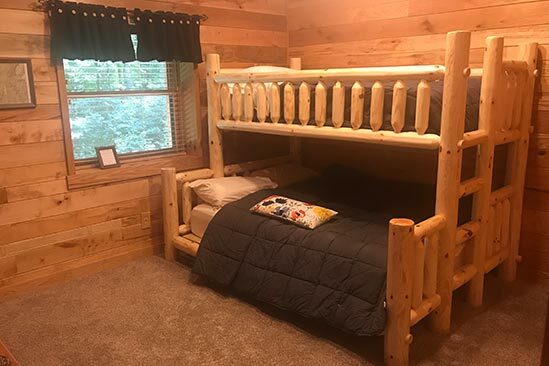 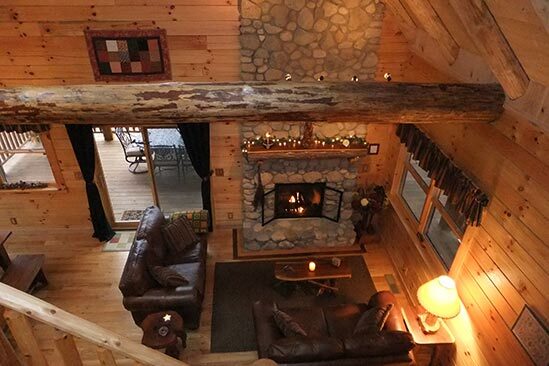 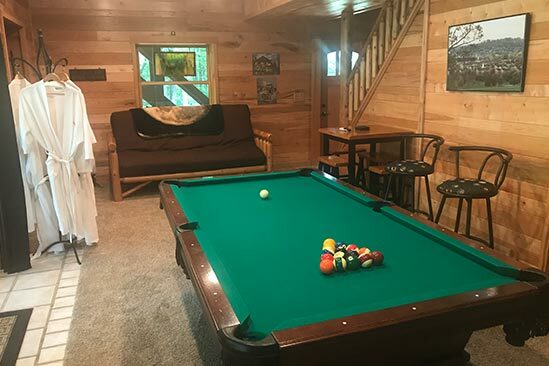 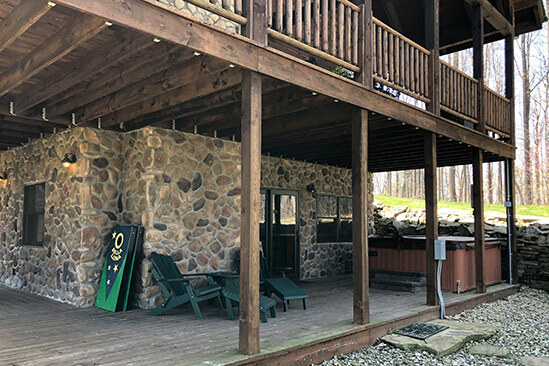 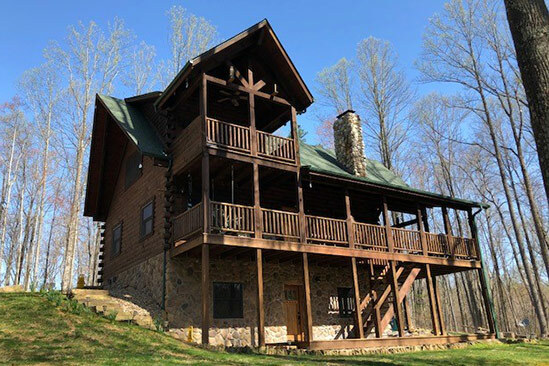 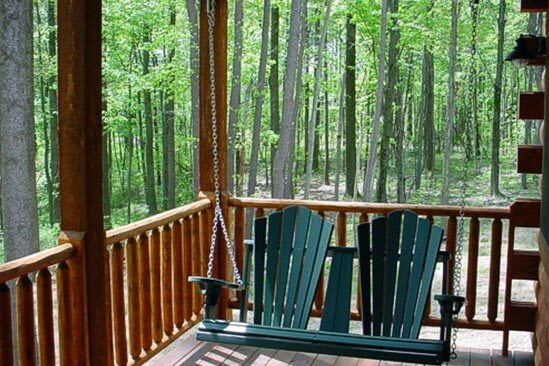 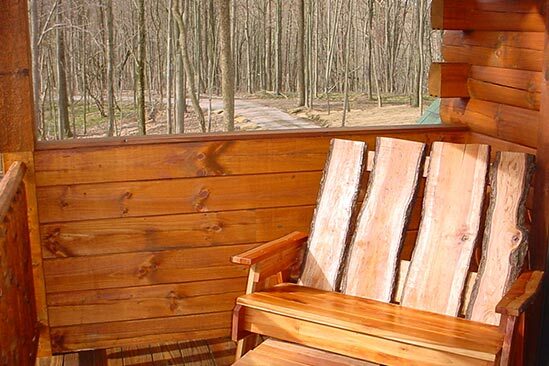 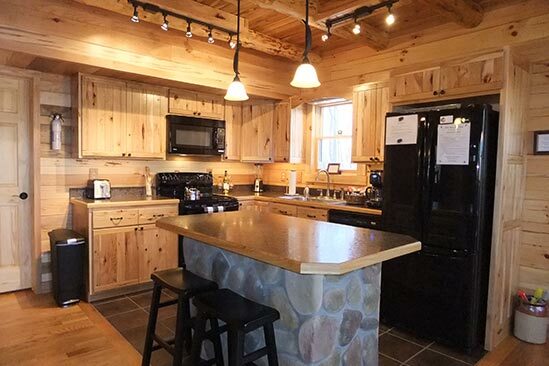 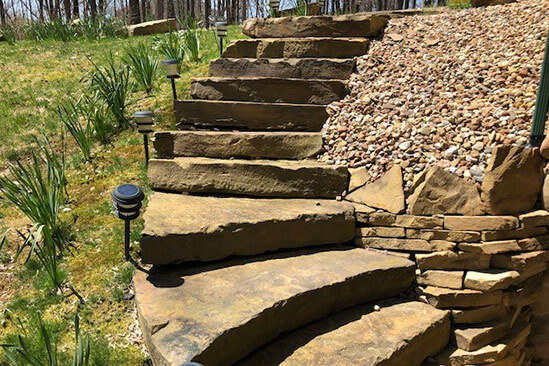 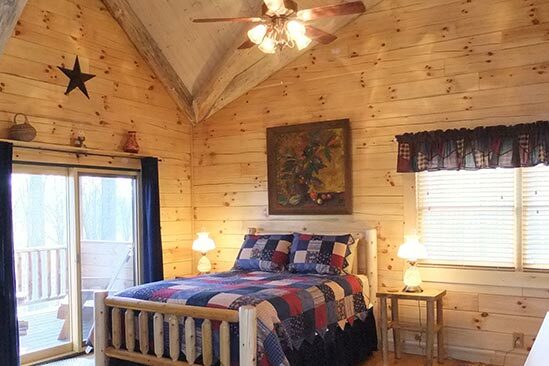 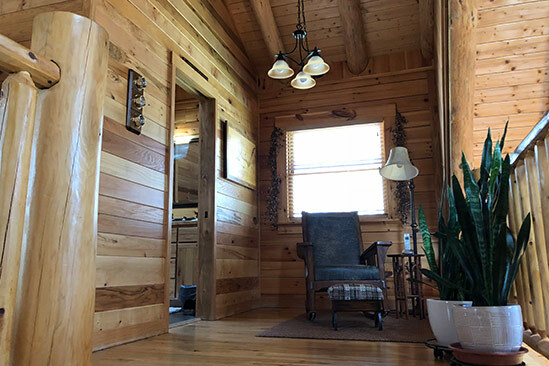 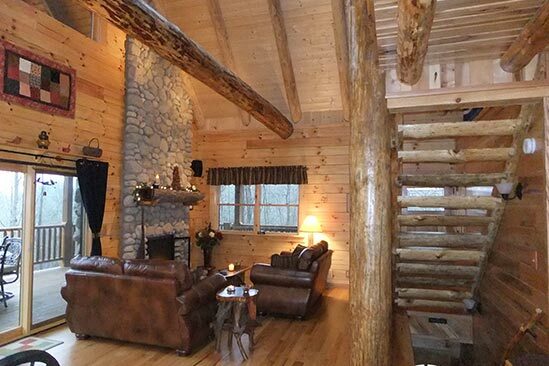 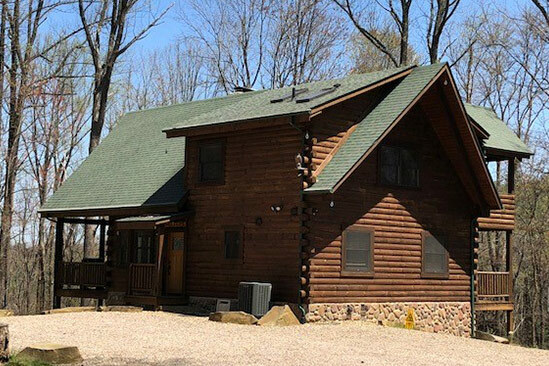 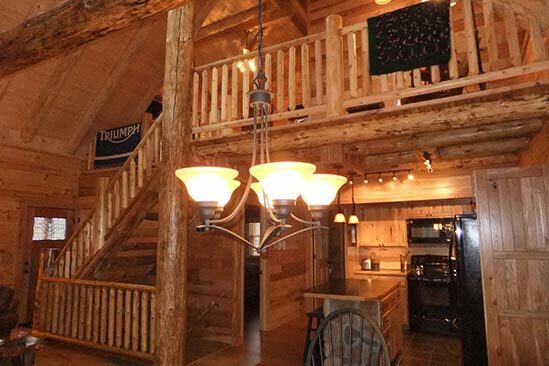 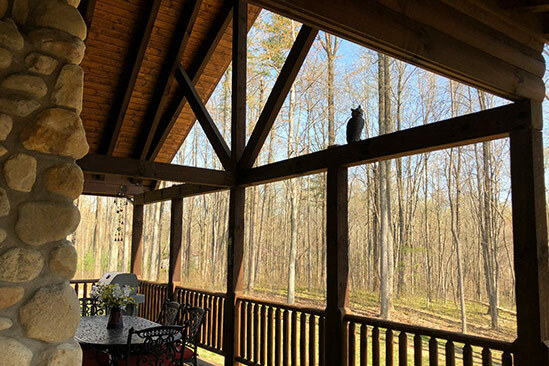 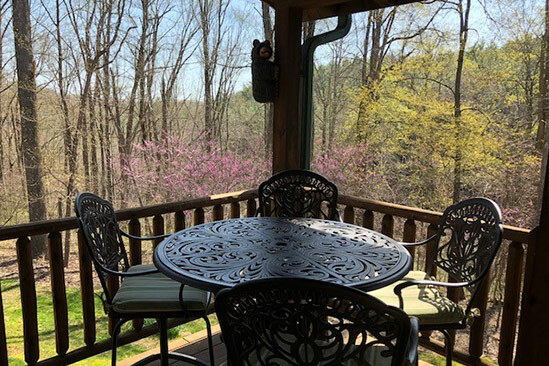 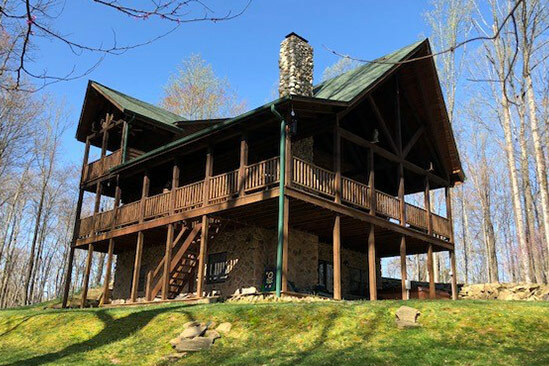 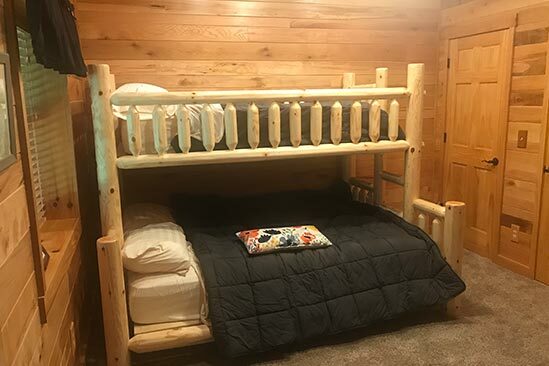 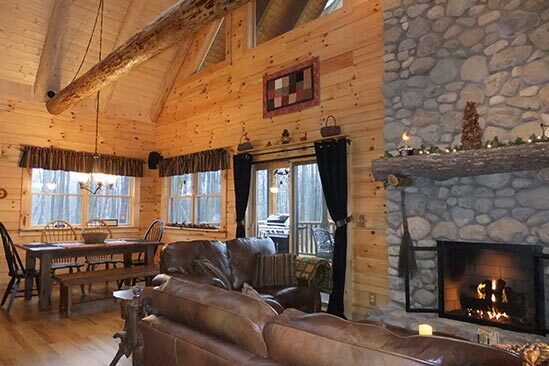 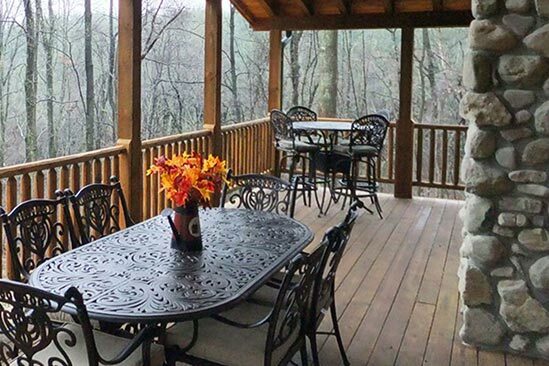 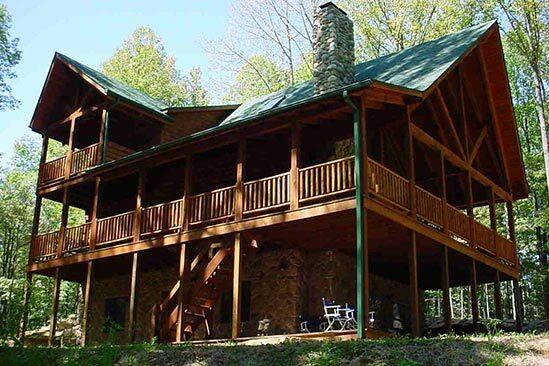 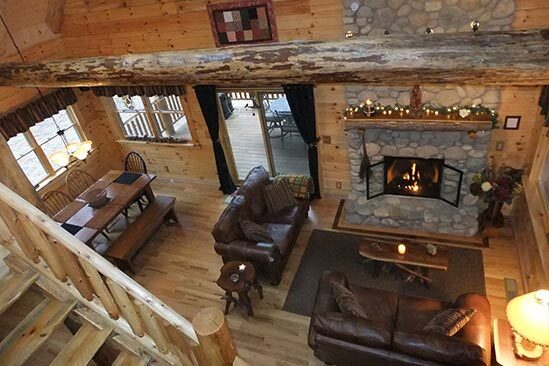 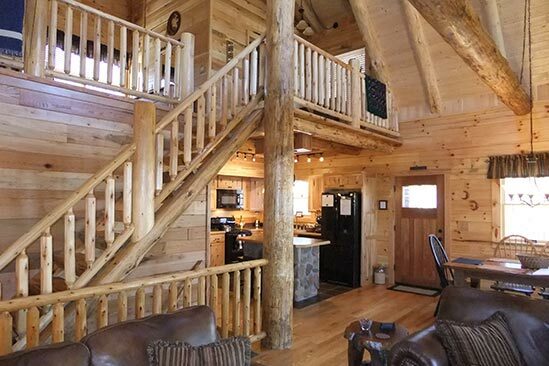 Come relax and discover what Hocking Hills has to offer while staying in our beautiful cabin.